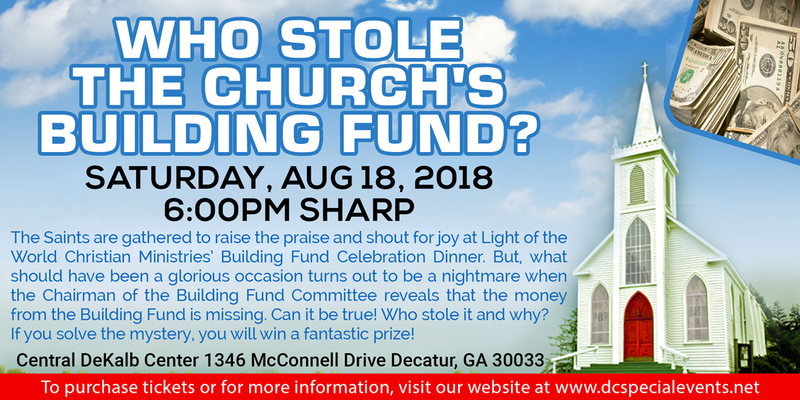 "Who Stole The Church’s Building Fund?" Mystery Dinner Theater? 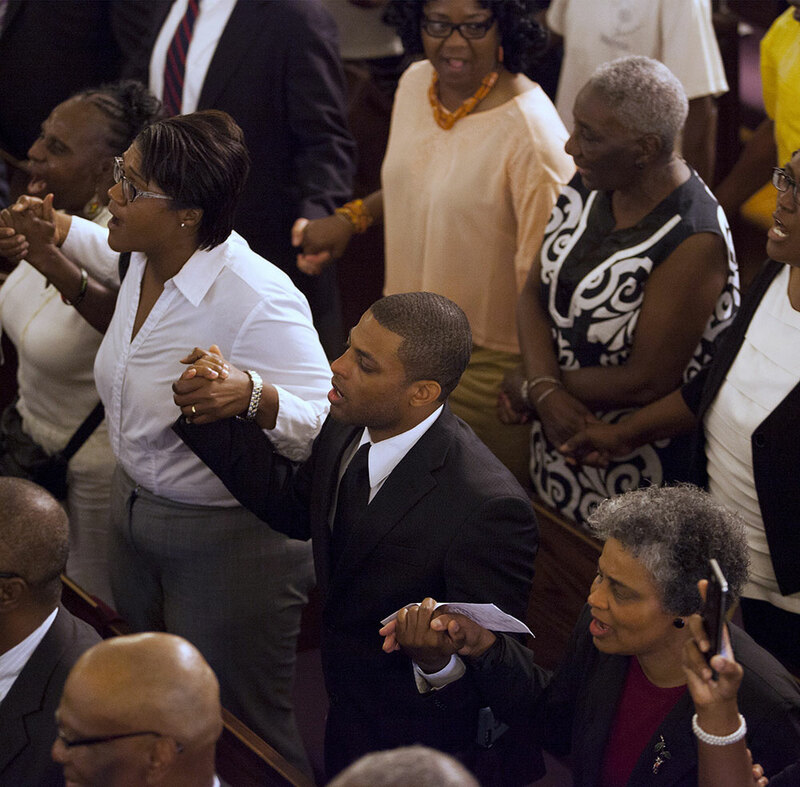 The Saints are gathered to raise the praise and shout for joy at Light of the World Christian Ministries’ Building Fund Celebration Dinner. But, what should have been a glorious occasion turns out to be a nightmare when the Chairman of the Building Fund Committee reveals that the money from the Building Fund is missing. Can it be true! Who stole it and why? If you solve the mystery, you will win a fantastic prize! Tickets: $29.99/person (Early Bird) and $39.99/person (General Admission) plus taxes and nominal Eventbrite processing fee. Early Bird Special runs through August 1st OR until supplies run out (limited # of Early Bird Tickets). Tickets must be purchased online. NO purchase at the door. Deadline to purchase Tickets is August 13, 2018. Show is open to those 18 and older. -Fun, Fun, and More Fun!